GREAT LAKES INTERNATIONAL IMAGING AND FLOW CYTOMETRY ASSOCIATION, INC. The Great Lakes International Imaging and Flow Cytometry Association (GLIIFCA) started in 1992 by Carleton and Sigrid Stewart and Alex Nakeff fosters the interaction of professionals from Great Lakes region (U.S. states of Illinois, Indiana, Michigan, Minnesota, New York, Ohio, Pennsylvania and Wisconsin as well as the Canadian province of Ontario) with interests in flow and image cytometry. GLIIFCA organizes affordable annual meetings allowing the Great Lakes region cytometrists to learn about latest developments in cytometry and related fields, network with colleagues, and share the excitement about their research. 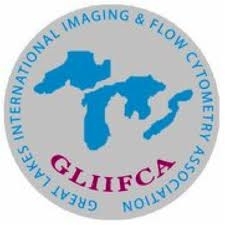 In 1992 GLIIFCA began as… GLIFCA (the Great Lakes International Flow Cytometry Association - the word Imaging was added in 1993) and was first part of an outreach program for a Clinical Cancer Resource Grant that I was writing at Roswell Park Cancer Institute in Buffalo, NY. I had been thinking and discussing forming an organization that would primarily focus on young investigators and technologists doing research in cancer using imaging and flow cytometry. The established leaders in each of these fields were invited to form the first Steering Committee. Carleton C. Stewart was elected first President, Alexander Nakeff first Vice President, Sigrid Stewart, first Secretary/Treasurer and James Jacobberger first Educational Officer. Alan Landay and Maurice O’Gorman were to be the Scientific Chairs for the next meeting which was held October 1 - 3, 1993 at the Hotel St. Regis in Detroit, MI. Other members of the Steering Committee were Paul Robinson, Waclaw Jaszcz, David Hedley, Betsy Ohlsson-Wilhelm and James Leary. This Steering Committee was established to help determine the policies of the organization, maintain a budget, and create the program for the annual meeting. In addition to funding for this organization by the grant, I envisioned participation by the vendors as equal members of GLIIFCA. The reps from each company were instrumental in passing the word to their customers throughout the capture area. And you know the rest of the story…. Our first meeting of the Great Lakes International Flow Cytometry Association was held September 25 - 27, 1992 at the Hotel St. Regis in Detroit, MI: The meeting was an overwhelming success. The scientific agenda included sessions on Immunophenotyping, tumor biology and instrumentation. Over 130 charter members, some of which had never attended a flow meeting before, were able to attend because the total cost per person amounted to under $150 including registration and accommodations. Because of the central location of Detroit to the Great Lakes Region most people were able to carpool. The meeting started with a well-attended reception on Friday evening with food and an open bar sponsored by Becton Dickinson Immunocytometry Systems. On Saturday the Flowdown, sponsored by Coulter Cytometry, was thoroughly enjoyed by all. Most participants stayed until the very end. The greatest single state/province represented was Ontario, Canada. US charter members were from Michigan, Indiana, Minnesota, Illinois, Ohio, New York, Pennsylvania, Wisconsin and New Jersey. We even had two guests from Russia, which truly made this an international event. While our main region of emphasis is the Great Lakes, we welcome our colleagues from across the land to participate.